Silver Bells holiday theme, by The Weed Patch. Everything silver, white, and crystal clear - glitter, tinsel, foil, and other shiny Christmas decorations. Go for an upscale glitz look this Christmas morning with the Allura 15 inch Stocking. Experience the soft grey viscose velvet with shimmery taupe and silver trim running diagonally on the bottom half and cuff. Go for an upscale glitz look this Christmas morning with the Allura 20 inch Stocking. Experience the soft grey viscose velvet with shimmery taupe and silver trim running diagonally on the body and cuff. 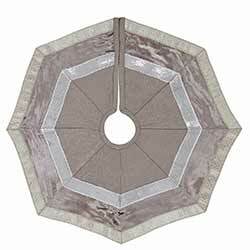 An octogonal shape, this 48 inch tree skirt features greige jacquard accented with grey shiny viscose velvet with a shimmery silver and taupe diamond trim. An octogonal shape, this mini skirt features greige jacquard accented with grey shiny viscose velvet with a shimmery silver and taupe diamond trim. Go for an upscale glitz look this Christmas with Allura. The filled Allura Pillow 18x18 features a grey viscose velvet with alternating diagonal rows of shimmery taupe and silver trim. Antiqued Bird Ornament, by Raz. 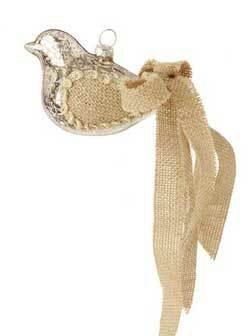 Beautiful silver bird ornament - body has an antiqued mercury finish, tail is made of strips of burlap-like fabric. Measures 2.5 inches long. Part of the Emerald Cottage Collection. 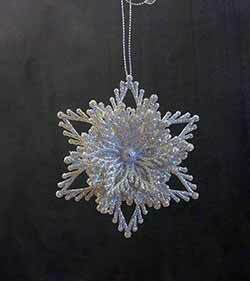 Antiqued Glass Snowflake Ornament, by Raz Imports. Silver mercury glass in an onion shape, accented with a snowflake pattern made up of tiny silver microbeads and tiny pearls. Measures approx 4 x 3.5 inches. 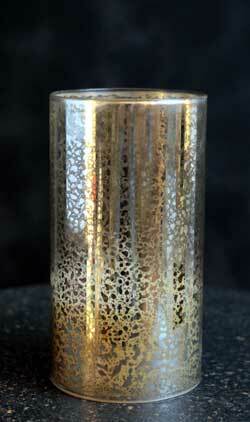 Antiqued Silver Glass Hurricane with Flickering LED Pillar Candle, by Raz. Silver mercury glass hurricane fitted with a battery candle inside, that gently flickers. Instant centerpiece or mantel decor! Arctic Palace Glittered Tree, by Raz Imports. 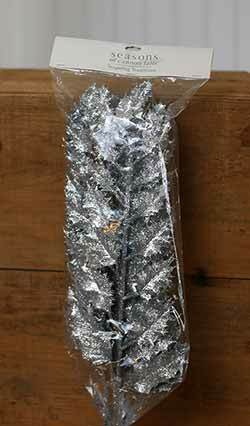 Perfect for your winter display, this resin tree is painted silver and aged, with a light dusting of shimmer. Great for a mantel! 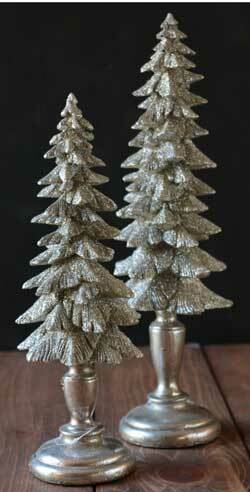 Sold individually from two sizes - Choose the Smaller (13.5 inches) or Larger (16 inches) tree. Part of the Arctic Palace Collection. Clip-on Silvered Mushroom Ornament, by Raz Imports. Pretty silver clip-style mushroom ornament with glittered polka dots. Sold individually from the two shown - Choose the Left or the Right ornament! Part of the Forest Frost Collection. Measures 5 x 2 inches. Made of glass. Dyani Silver Placemats Set brings a Christmas touch to your dining table with braids of silver jute blended with a metallic yarn. Dyani Silver Round Placemats Set brings a Christmas touch to your dining table with braids of silver jute blended with a metallic yarn. Eiffel Tower, by Cody Foster. 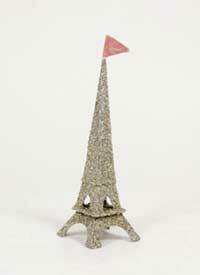 Glitter encrusted vintage-style paper Eiffel tower, free-standing or an ornament. Measures 4.75 inches. Made of paper and glass glitter. Formerly Backporch Friends American Folk Art, Cody Foster's line of seasonal decor is beautiful and unique, many modeled after vintage/retro designs. 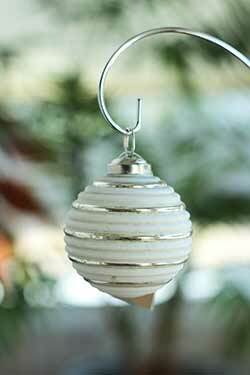 Features an elegant and simple white matte finish with shiny silver striped details. 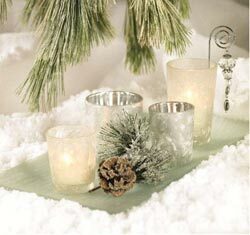 Silver caps match any Christmas home decor. Includes metal loop for hanging. This is for the 2 inch ornament. Features an elegant and simple white matte finish with shiny silver striped details. 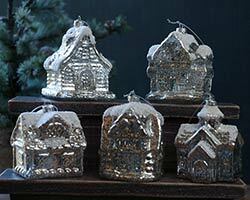 Silver caps match any Christmas home decor. Includes metal loop for hanging. This is for the 3 inch ornament. Glitter encrusted key ornament. This is for the Larger size. Measures 5.5 inches. Glitter Key Ornament, by Cody Foster. 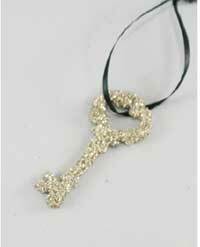 Glitter encrusted key ornament. This is for the Smaller size. Measures 2.5 inches. Made of pressed paper and glass glitter. Formerly Backporch Friends American Folk Art, Cody Foster's line of seasonal decor is beautiful and unique, many modeled after vintage/retro designs. Larger one also available! Glittered Snowflake Ornament, by Tag. 3D covered in super-sparkly silver glitter. Measures 4 x 3.5 inches. Made of wood. 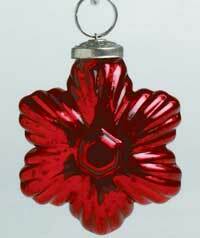 Beautiful glass ornament with distressed finish reveals red glowing through the gold. 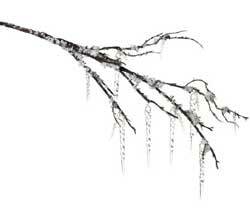 Icicle Branch, by Raz Imports. This branch is covered in faux snow glitter and is dripping with clear icicles. Add instant pizzaz to your Christmas tree, or add to a floral arrangment! Measures 32 inches long. Part of the Arctic Wilderness Collection. Made of plastic. 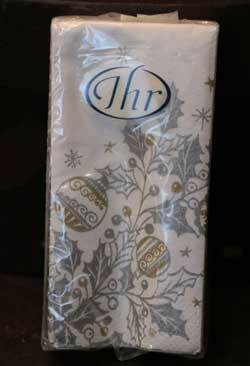 Icy Garland Pocket Tissues, by IHR, a division of Boston International. Features holly leaves and ornaments featured in silver and gold. This is for the Pocket Tissues. Measures 4 x 2 inches square (folded). 4ply, 10 tissues per pack. Printed in the Germany, made of recycled materials. Lighted House Ornament, by Raz Imports. 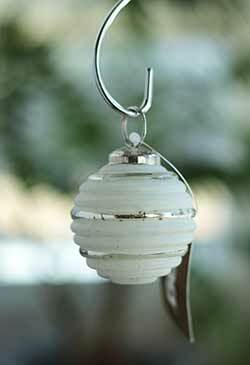 Silver mercury glass ornament, topped with snow glitter, and lights up with a warm white LED light inside. Sold individually from the five shown in photo. Choose (going clockwise from top left) the top left, top right, bottom left, bottom middle, or bottom right house. Part of the Sleigh Bells Collection. Measures 4 inches. Made of glass. Mercury Star Ornament, by Tag. Hand-blown and features a shining mercury-like finish. This is for the GREEN ornament. Matte silver ring and cap for hanging. Measures 3 inches. Others also available! Mercury Star Ornament, by Tag. Hand-blown and features a shining mercury-like finish. This is for the RED ornament. Matte silver ring and cap for hanging. Measures 3 inches. Others also available! Mercury Star Ornament, by Tag. Hand-blown and features a shining mercury-like finish. This is for the SILVER ornament. Matte silver ring and cap for hanging. Measures 3 inches. Others also available! Mini Egg Ornament, by Seasons of Cannon Falls. Part of the Wendy Addison collection. Mini egg ornament covered in true German silver glass glitter, so it will tarnish over time to a lovely vintage patina as it is exposed to air. Sold individually (priced per egg). Measures approx 1.5 inches. Formerly Backporch Friends American Folk Art, Cody Foster's line of seasonal decor is beautiful and unique, many modeled after vintage/retro designs. Stands about 6 inches tall. Red & White Glittered Ball Ornament, by Raz Imports. Sold individually from two slightly different designs - Choose the Left or Right ornament. Measures 4 inches. Part of the Joyful Silhouette Collection. Shimmer Cache Pot, by Tag. Rustic terra cotta pot with electroplated silver finish. 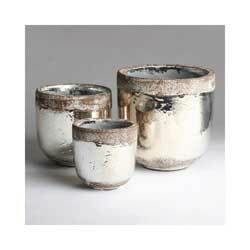 Sold individually - choose the Small, Medium or Large Pot. Measurements: Small is 4 x 4 inches, Medium is 5.25 x 5.25 inches, Large is 6.7 x 6.7 inches. Part of the Shimmer Collection. 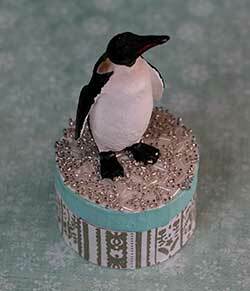 Silver / White Glittered Keepsake Box Ornament, by Raz Imports. 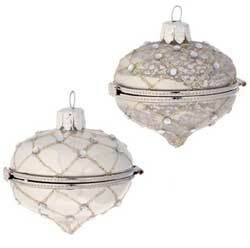 This pretty ornament is box a gift box and decoration! 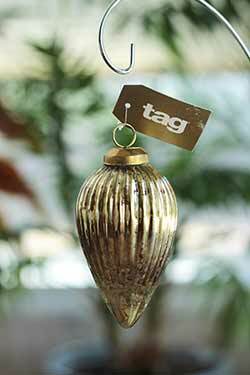 Hang from your tree as an ornament, or tuck a keepsake inside! 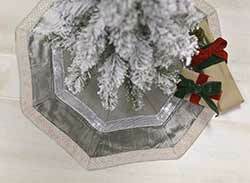 Silver Flower Snowflake Ornament, by Seasons of Cannon Falls. 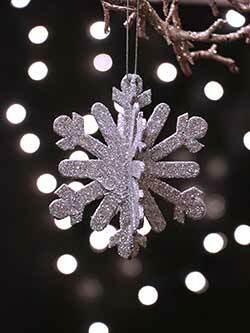 Super-glittery acrylic snowflake with a flowered shape, three dimensional, covered in white/silver superfine glitter! Measures 3.5 x 1.5 x 4 inches. Made of plastic. Also available in gold! Large Silver Glass Glitter Star, by Ragon House. Made with authentic German glass glitter, this 3D star has a true vintage flair. Accented with faux leaves and berries. This is for the larger star, measuring 6 inches. 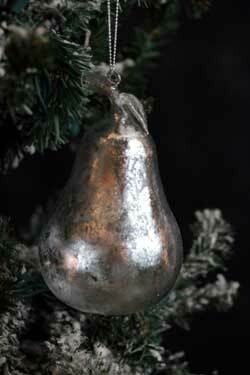 Silver Glass Pear Ornament, by Nutcracker Designs. Pear shaped ornament with a mercury-like finish. Measures 2.5 x 4.5 inches. Silver Glitter Leaf Picks, by Seasons of Cannon Falls. This silver "branch" of holly-like leaves is encrusted in silver glitter. 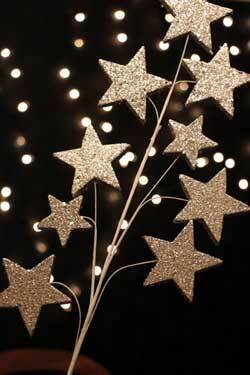 We love these tucked into the branches of a Christmas tree, they really light up! Silver Glitter Star Pick, by Seasons of Cannon Falls. This silver "branch" of shooting stars covered in super-sparkly silver glitter. 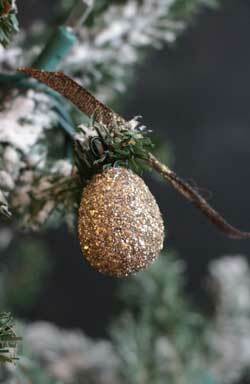 We love this tucked into the branches of a Christmas tree, it really catches the light! 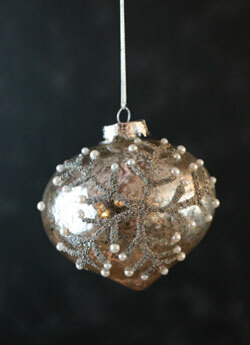 Silver Glittered Drop Ornament, by Raz Imports. Glittery white/silver drop ornament, accented with faux holly leaves, pip berries, and ribbons. Really pretty on a tree!. 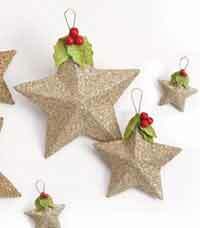 Sold individually from the 4 styles (see detail photos) - Choose (from Left to Right) the 1st, 2nd, 3rd, or 4th ornament. Measures approx 6.5-7 inches long. Acrylic, fabric, resin, and glitter. 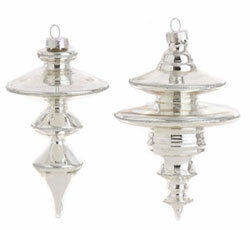 Silver Glittered Finial Ornament, by Raz Imports. 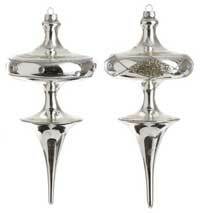 Silver finial ornament, sold individually from the two shown - Choose as the left or the Right! Part of the Yuletide Chic Collection. Measures 5.5 x 4 or 5.5 x 3 inches. Made of glass. 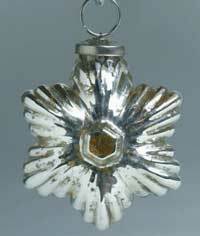 Silver Glittered Finial Ornament, by Raz Imports. Silver finial ornament, sold individually from the two shown - let us know which shape you'd in the comments section when checking out, or leave blank and we'll choose for you! Part of the Yuletide Chic Collection. Measures 9 x 4 inches. Made of glass.